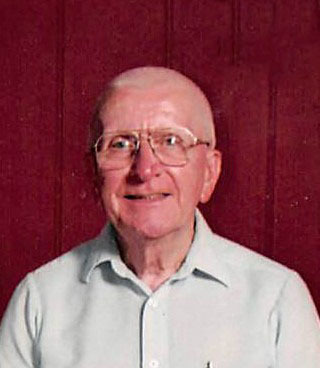 Charles Eugene “Gene” Syler Jr., 84, of Vandalia, MO passed away at 10:00 a.m. Saturday, April 13, 2019, at Tri-County Care Center in Vandalia. The funeral service will be held at 11:00 am on Thursday April 18, 2019, at Southside Baptist Church of Vandalia. Pastor Mark Phelps of of Southside Baptist Church will be officiating along with Brother Kenny Haddock. Graveside with full military honors provided by the American Legion Post 510 of Laddonia, MO will follow the funeral at the Evergreen Memorial Cemetery. Visitation will be held from 5:00 pm to 8:00 pm on Wednesday April 17, 2019, at the Waters Funeral Home. The family is being served by the Waters Funeral Home of Vandalia. Charles was born on July 21, 1934, in Bowling Green, MO the son of Charles Eugene Sr. and Jessie Mae (Spears) Syler. He was united in marriage to Anna Lorene Clark of Vandalia, MO. She survives him. Other survivors include two daughters, Deborah Ann (Joe) Salois of Curryville, MO and Lisa Lorene (Lynn) McCallister of Little Rock, AK; four grandchildren, Jeffery (Gina) Salois of Louisiana, MO, Matthew Salois of Kansas City, KS, Charles T. West of Jacksonville, AK and Joshua West of Benton, AK; niece Tammy Enfinger; nephew, Philip Hyre and lots of other loved family and friends. In addition to his parents, Mr. Syler was preceded in death by a sister, Charlyne Hyre. Charles attended school in Bowling Green, MO before joining the United States Air Force in October of 1952. He proudly served his country during the Korean Conflict. Charles worked various jobs in Bowling Green and Vandalia area. He retired in 1996 from the Van-Far R-1 school district. He was an ordained deacon at Southside Baptist Church of Vandalia where he taught adult Sunday School for many years. Charles had a passion for music especially southern gospel, bluegrass and country. He loved playing his guitar and played in a band named the fender-benders. He loved watching Nascar with other church members on Sunday afternoons. 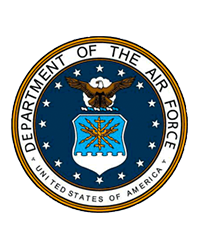 Charles was a huge support of the military especially the United States Air Force. In lieu of flowers memorial donations may be given to Southside Baptist Church of Vandalia or SSM Home Health of Mexico, MO in the care of Waters Funeral Home 500 S. Main St. P.O. Box 84 Vandalia, MO 63382.